We had a productive day today. The kids and I went to story time at the library, cleaned two bathrooms, did the dishes, did 2 loads of laundry, went to the gas station, the post office and two stores. All of this occurred before lunch! After nap time, we took Nick to his swim lesson and then picked up our Fresh Fork CSA (where I put the cold items in a cooler with ice) before returning to the J so I could take a class. Whew! No wonder I’m tired. 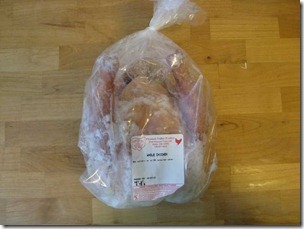 The chicken is in the freezer. I had just cooked our last chicken this week and we still have stock in the fridge. We’ll probably cook it soon since it takes up quite a bit of room. 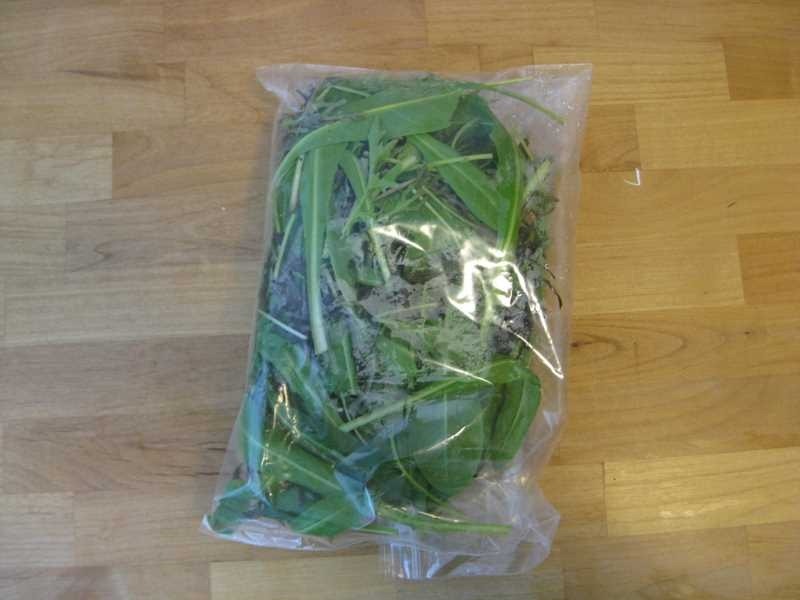 The greens look really good this week, so some more salad will be in the mix. 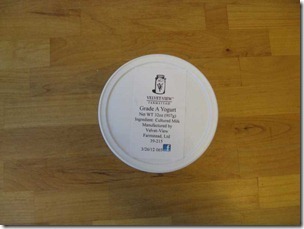 I am always glad to see yogurt. We’ve been buying this brand at Heinen’s whenever there isn’t any on the truck. I love that my kids eat plain yogurt with a bit of homemade honey sweetened jam. 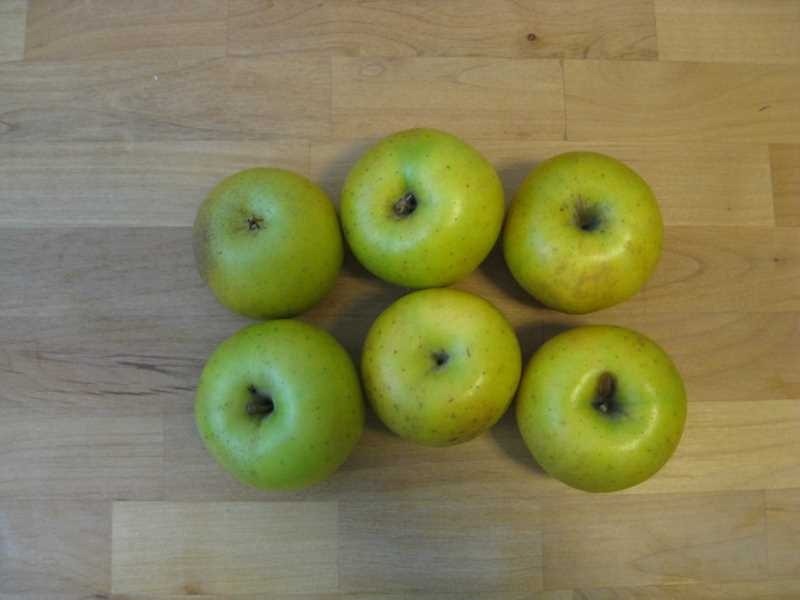 We’ll use the apples in our oatmeal for breakfasts. We were down to our last one today. 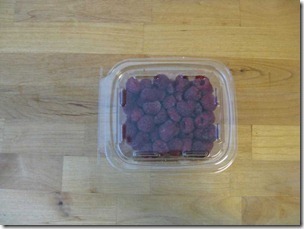 My kids were happily surprised to see “more raspberries”. We haven’t been getting them in our CSA, but we have been eating frozen ones from our summer picking for the past few days at home. They have been very popular, so I don’t expect these to last long. 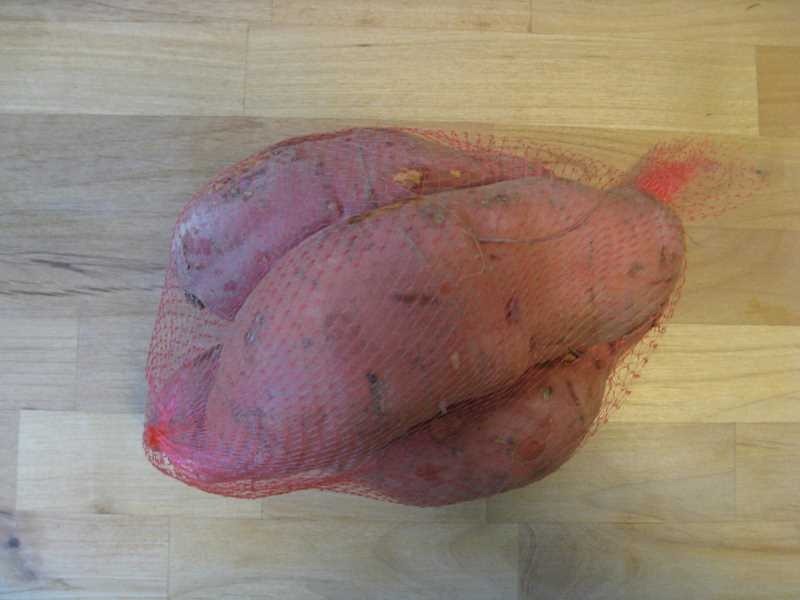 There was a problem with a truck this week, so we were given a choice of waiting until the next pick up for the Yukon gold potatoes or taking sweet potatoes. 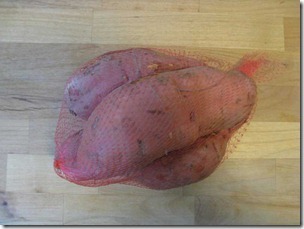 We love sweet potatoes and already had some white potatoes at home, so we opted for the sweet potatoes. 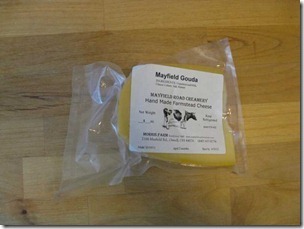 All of the local cheese we have received has been great. 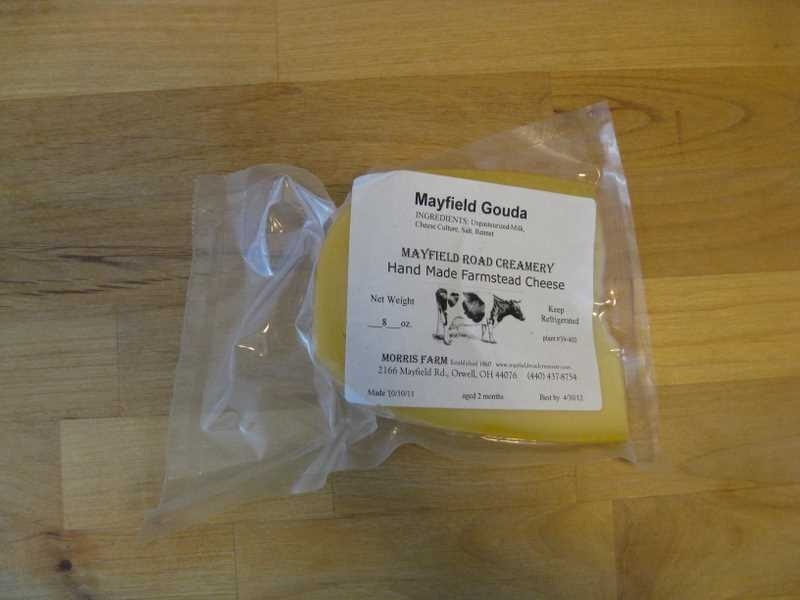 Gouda is one of our favorites. 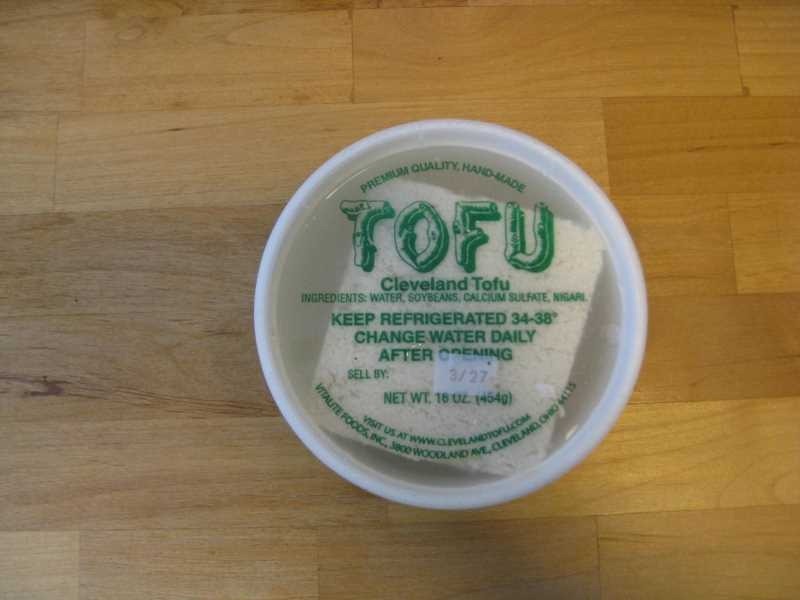 The tofu is a new product for the CSA. I’ve poled several people and everyone describes it differently. 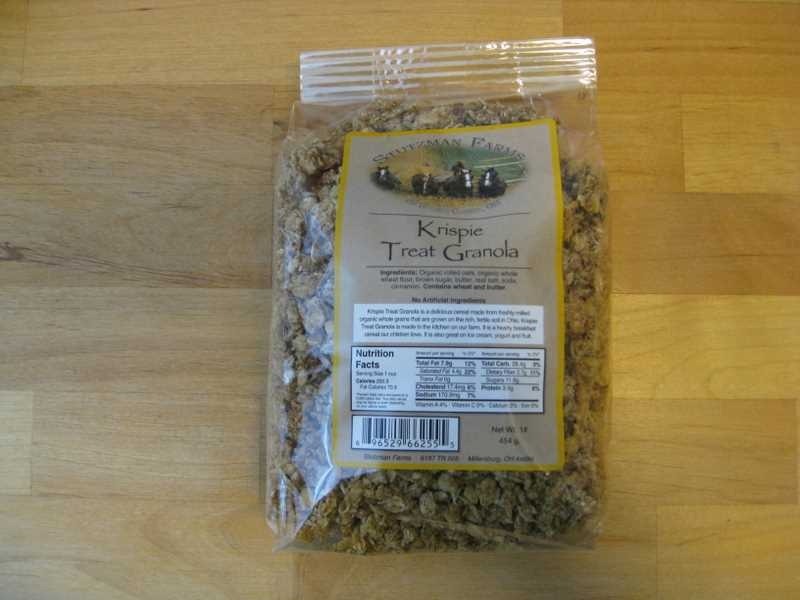 The best description that I have heard so far is that it’s really firm, but crumbly. 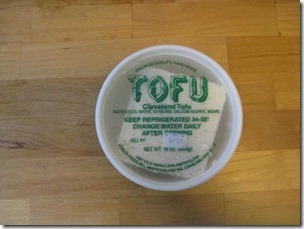 I plan to freeze it and make tofu sausage crumble with it. I also heard that I need to freeze it for two weeks. So, that’s what I’m going to try. 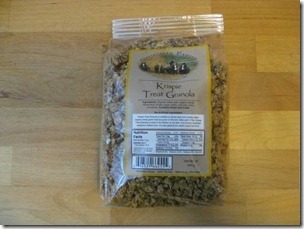 The granola is one of my favorites. I bought an extra bag for $5 because it’s so good. 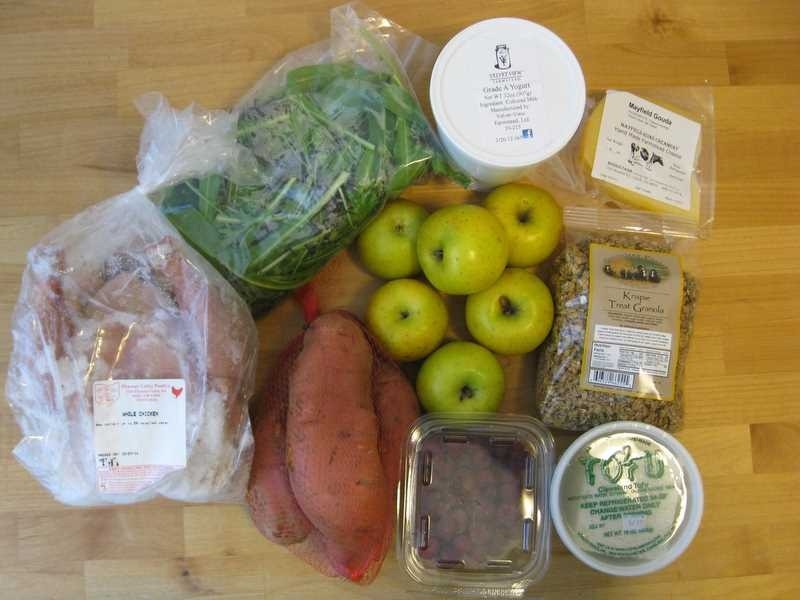 All in all, we have another great batch of local goods to work with. I’m going to do some meal planning in the next day or two so we can use our pantry staples and new products for some tasty dishes. Yesterday, we returned to Secor Nursery to pick blueberries. 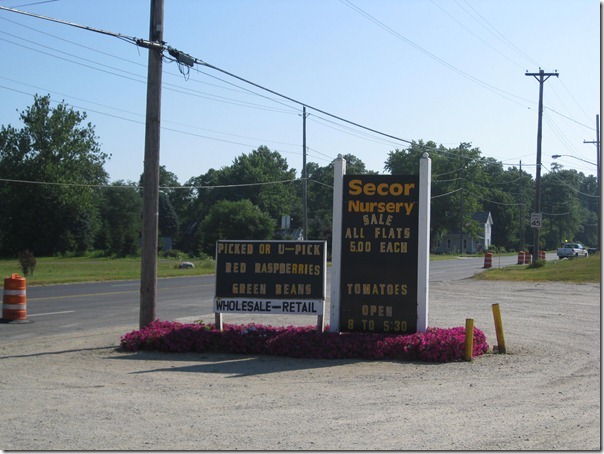 We first visited Secor back on June 21st to pick strawberries. Now that we are getting more familiar with farms and their locations, I have realized that there are at least 3 U-pick farms within 5 miles of each other in the Perry area. Nick, Sally and I had made plans to meet up with our new friends Paula and her daughter. 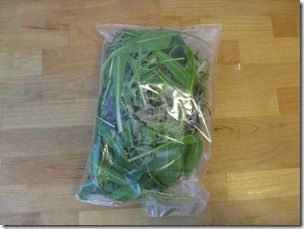 They are also in the Fresh Fork CSA and I met Paula through my CSA blogging. I quickly figured out that we had a lot in common (couponer, 3 year old and CSA) and we decided to meet up for picking. 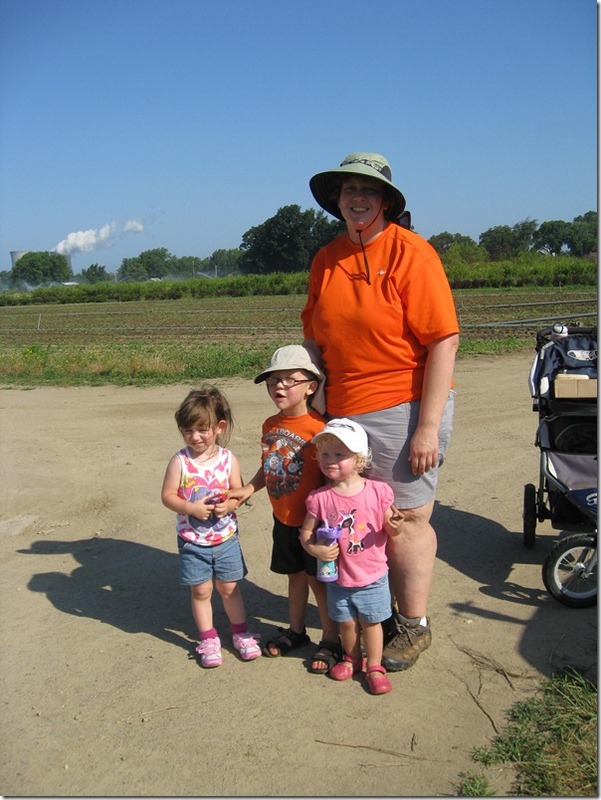 Here’s a photo of me with all 3 kids. It was a really hot day, but the sky was extremely blue. 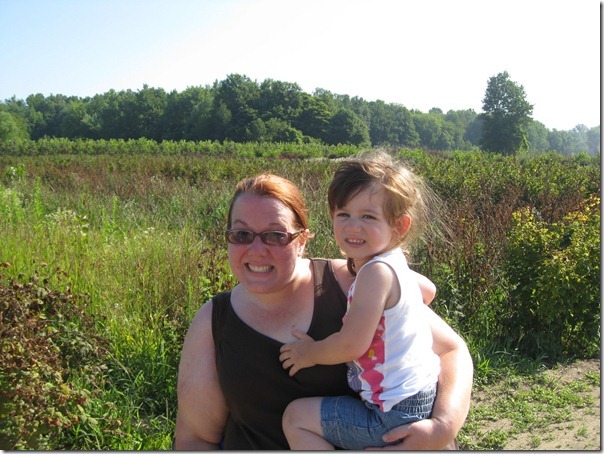 When we arrived about 8:15 AM, we found out that U-pick was closed for blueberries. I know we should always call ahead, but I was surprised that they were closed to allow for more ripening so soon after opening this week. We like to get to the farms when they open, so I should get in the habit of calling the day before the check on crops. 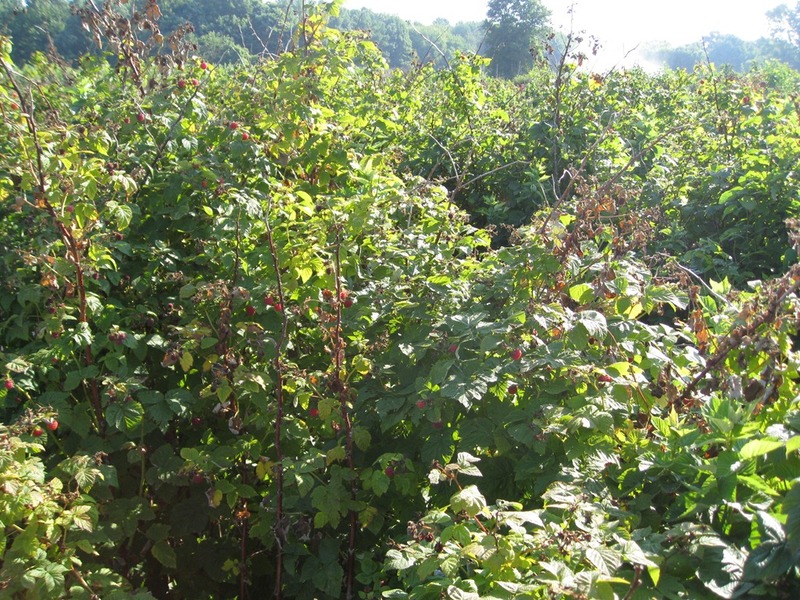 They were going to let us pick anyway, but we opted for raspberries. 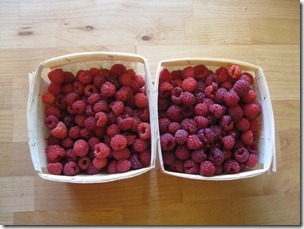 We got lost trying to find the raspberries and called the market from the field. I’m pretty good with directions, but had no idea where east was from where we were standing. One of the farmers came out in a truck and pointed us in the right direction. I had never picked raspberries before. They have prickles, but it wasn’t too bad. They are pretty easy to pick, but they are also highly perishable and pretty expensive. Some we just ate plain and the rest I put in the freezer for ice cream, raspberry lemonade or other treats later. 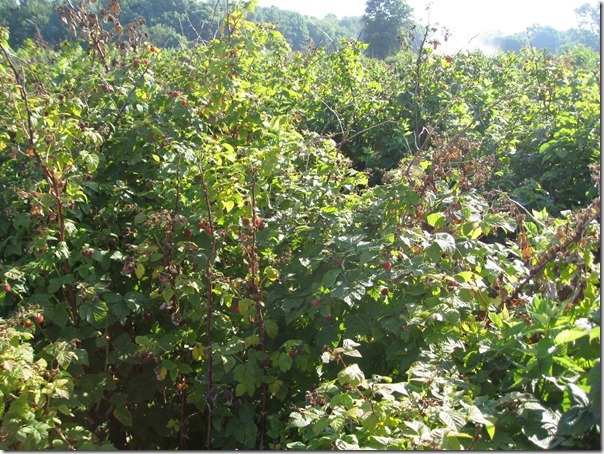 When later season berries come into season, we’ll probably splurge and pick for jam. 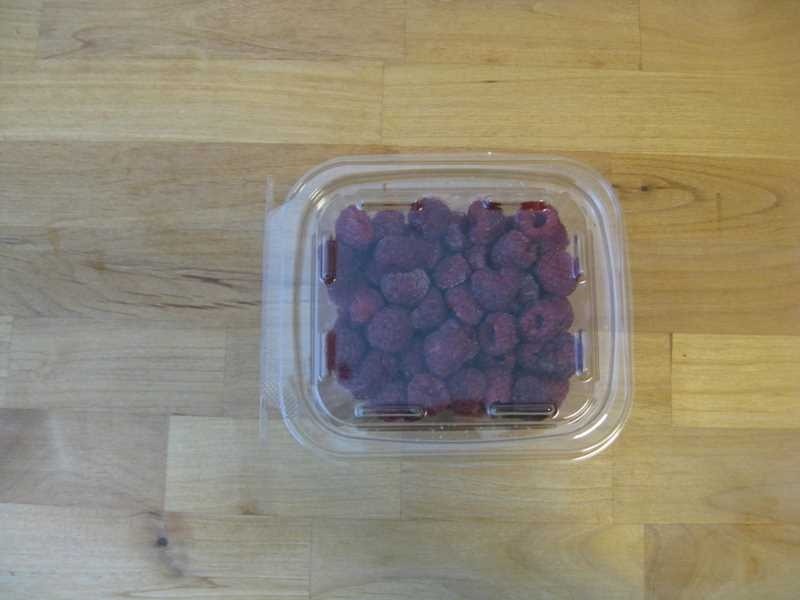 I ended up spending $8.52 on these raspberries. They were $3.89 per pound, so I ended up with 2.19 pounds. 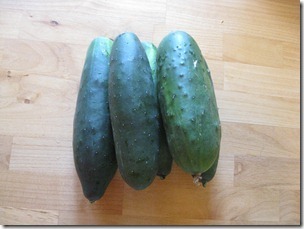 I was debating cucumbers from the market and Paula was buying some, so we split a basket of them. I think they were seconds and 10 were $2. Paula gave me half and told me my money wasn’t any good with her. Thanks Paula! It was a great, hot outing with new friends and I have a feeling we’ll be meeting up with them again soon.